Most people would consider Speech to be one of the most daunting high school classes around, next to any mathematical subject. Public speaking in itself, while an important skill, doesn’t come easily to most people. As such, it is the job of an engaging speech/drama/debate teacher to guide these intimidated students on the best ways to, in turn, engage with an audience. The state of Oklahoma requires all incoming teachers to score well on the OSAT exam for their specific field before they can launch their professional careers. In your case, this will be the OSAT Speech/Drama/Debate exam. At Mometrix Test Preparation, we understand what an important final challenge you have ahead of you. 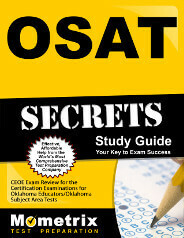 To help, we’ve composed an OSAT Speech/Drama/Debate (016) practice test. Like all of our study resources, this practice test is not only 100 percent free for you to use, but designed to be as comprehensive as possible. 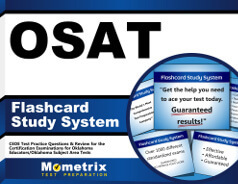 We’ve conducted thorough research to ensure our practice test offers only the most accurate preview of the real OSAT exam possible. 15 percent of the exam is essay response (or “constructed-response”) while the other 85 percent is multiple choice (“selected-response”). The essay response portion of the exam features one question, which corresponds to one subject: Interpersonal and Public Communication. We recommend this OSAT Speech/Drama/Debate practice test for anyone interested in fine-tuning their study approach and familiarizing themselves with the exam’s content. For best results, feel free to pair this resource with our corresponding study guide. Good luck, and work hard!